This product requires the base game FINAL FANTASY® XIV Online Starter Edition. *Players must meet certain conditions to be able to fly and dive. 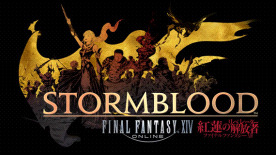 *Flying is limited to FINAL FANTASY XIV: Heavensward and FINAL FANTASY XIV: Stormblood areas. *Diving is limited to FINAL FANTASY XIV: Stormblood areas. *Minions are vanity pets that do not have any effect on a player's stats. Please note: The registration code included in this version is not compatible with the Steam version of FINAL FANTASY XIV Online. To play on Steam, please buy the Steam version of the game once it becomes available.